A Digital Ortho Quarter Quad (DOQQs) is a digital image which has the properties of an orthographic projection. It is derived from a digitized perspective aerial photograph by differential rectification so that image displacements caused by camera tilt and relief of terrain are removed. Our DOQQs are organized by county and have been compressed with Mr.Sid at a 10:1 ratio. There are two files associated with each quarter quad (.sid, .sdw). Make sure to download both files. These files were produced by USGS and provided by NRCS. For metadata information For fly date information, click on the .jpg file in the county doqq directory. 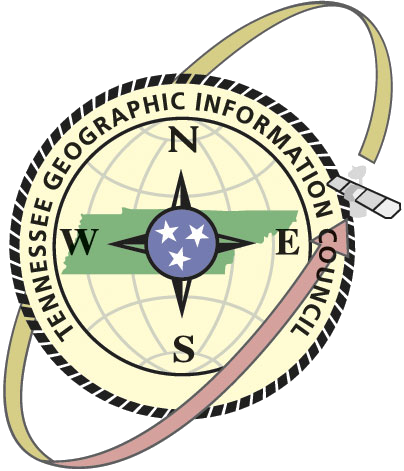 The digital orthophotos from the Tennessee Basemapping program are available in the MrSID file format on a per-county basis and can befreely downloaded here. The National Agriculture Imagery Program (NAIP) acquires aerial imagery during the agricultural growing seasons in the continental U.S. A primary goal of the NAIP program is to make digital ortho photography available to governmental agencies and the public within a year of acquisition. NAIP is administered by the USDA's Farm Service Agency (FSA) through the Aerial Photography Field Office in Salt Lake City. This "leaf-on" imagery is used as a base layer for GIS programs in FSA's County Service Centers, and is used to maintain the Common Land Unit (CLU) boundaries.